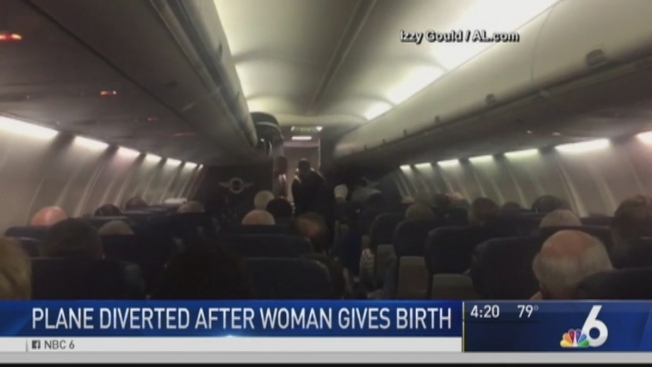 A Southwest Airlines plane made an emergency landing in Charleston, South Carolina, after a baby was born in the middle of the flight. Airline spokeswoman Melissa Ford tells local news outlets that Flight 556 was on its way from Philadelphia to Orlando, Florida, on Sunday when a woman went into labor. Ford says medical personnel who were on the flight helped with the delivery, and the family was taken to an area hospital when the plane landed. Officials say the flight and the remaining passengers arrived in Orlando just over an hour behind schedule.